Shushan is a hamlet in the town of Salem in Washington County, New York, United States. 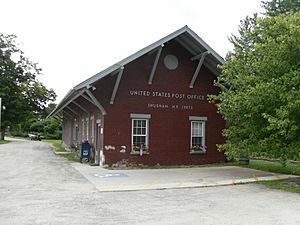 It is in the eastern region of the state, located four miles west of the Vermont border. Its ZIP code is 12873. Among Shushan's attractions is the Shushan Covered Bridge constructed in 1858. Shushan, New York Facts for Kids. Kiddle Encyclopedia.